25 Reviews of Christmas #4 - "Rudolph the Red-Nosed Reindeer" teaches us the most valuable lesson of all: Bumbles Bounce! Today, we enter the wondrous realms of Rankin Bass by looking at the TV classic “Rudolph the Red-Nosed Reindeer!” Remember to visit this page at any time for a collection of all 25 Reviews of Christmas articles. The lip-syncing is horrendous. The motion is anything but fluid. Fifty years after its initial broadcast, the screen is covered with dirt and scratches and the soundtrack is distorted and hissy. But it’s still “Rudolph the Red-Nosed Reindeer,” and no matter what, it is one of the highlights of the holiday season. Today, we take our first steps into a larger world: the Rankin/Bass animated TV classics. This company made so many good television specials that it’s hard to list them all. 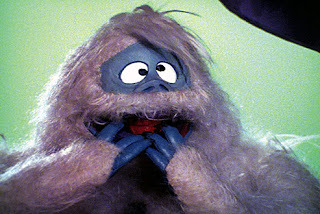 There’s the classic stop-motion fare like “Santa Claus is Coming to Town,” “The Little Drummer Boy,” or “Year Without a Santa Claus,” along with obscurer fare such as “Rudolph’s Shiny New Year,” “Rudolph and Frosty’s Christmas in July,” “Nestor the Long-Eared Donkey,” “Here Comes Peter Cotton-Tail,” and more. They even released some traditionally animated specials: “Frosty the Snowman,” “Frosty’s Winter Wonderland,” “Twas’ The Night Before Christmas,” and even a feature-length adaptation of “The Hobbit.” I’ve only scratched the surface. Not everything the company created was a classic, but Rankin/Bass left their mark on TV and pop culture in a profound way; without their work, Holiday television would be unrecognizable. 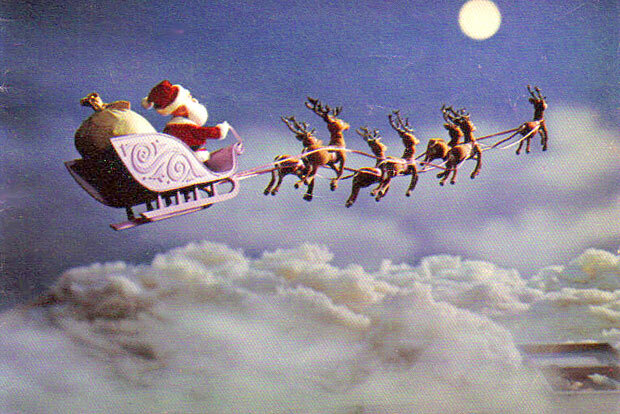 It all started in 1964 with “Rudolph the Red-Nosed Reindeer,” one of the most iconic TV specials of all time. 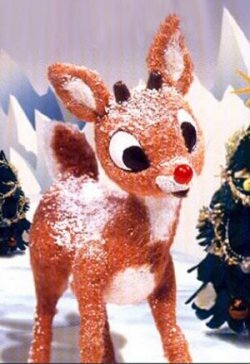 Many of the most recognizable elements associated with Rudolph come not from the original poem by Robert May or even the classic song, but from the TV special. From the abominable snowman to Yukon Cornelius to the island of misfit toys to Burl Ives introducing the world to “Holly Jolly Christmas,” every minute of this classic brings another memorable sequence or unforgettable character. It’s funny today to ponder where Rankin/Bass got the idea to expand a four-verse poem into an hour-long special. It’s a bit like what Ron Howard was tasked with when bringing “How the Grinch Stole Christmas” to the silver screen, but where Howard failed, Rankin/Bass created a wealth of absolutely brilliant new story material. The main expansion is that, after all the torment the other Reindeer inflict on Rudolph, he-of-red-nose runs away and has a series of memorable adventures. 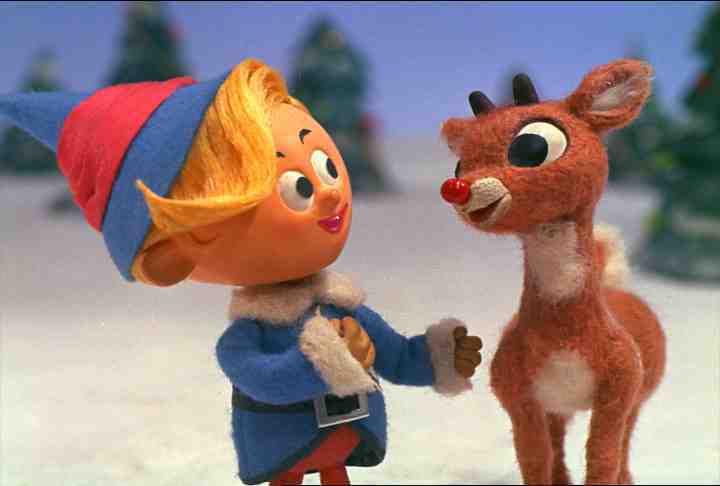 His sidekick is Hermey the elf, another misfit who doesn’t want to make toys and instead strives to be a dentist. I don’t have any idea where that idea came from, but it’s gold, and that creativity isn’t just limited to Hermey: the characters are easily my favorite element in this TV special, and none of them save Rudolph existed in the original poem. I love the honesty and passion Billie Mae Richards lends the title character; Rudolph could easily come across as a mopey one-note protagonist, but instead, he’s an underdog worth rooting for. Stan Francis’ interpretation of Santa Claus is one of my favorite spins on the character; his struggle to gain weight in time for the holidays is one of the great early examples in film or TV of giving Saint Nick a fun, unique twist. As Christmas narrators go, nobody will ever be able to challenge the great Burl Ives as Sam the Snowman, who has gone on to be the most iconic Rankin/Bass character. His voice emanates infinite warmth and joy, and it’s impossible not to get swept up in the spirit of the season with Ives narrating. But my favorite character would have to be the prospector Yukon Cornelius. As proven by his endless rivalry with the “bumble,” Yukon is not only the fearless, heroic member of our core trio, but also the funniest. Further proving that the stars were in alignment on this one, Johnny Marks, who wrote the original “Rudolph” song, composed all the music for the TV special and delivered a startling number of classics: Santa’s Jingle, Jingle, Jingle, the elves’ We Are Santa’s Elves, and Burl Ives’ wonderfully random this-is-clearly-here-just-to-kill-time serenade Silver and Gold. As much as I love numbers like The Most Wonderful Day of the Year or the duet Fame and Fortune, the one song that has undoubtedly entered the upper pantheon of classic Christmas music is Have a Holly Jolly Christmas. Burl Ives’ performance of the song is the highlight of the special, and when the Choir I participated in at Golden High School decided to cut the song from their 2010 repertoire, I think a small part of me died inside. “Rudolph” was animated using the stop-motion technique, one of my favorite kinds of artistry. I’ve actually made a few short films myself using the technique, and let me tell you, it’s not easy. 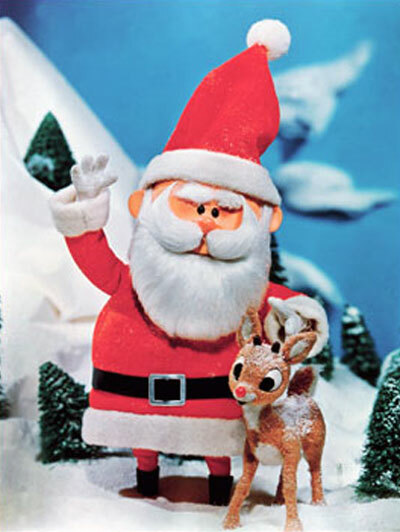 The stop-motion work in Rudolph is primitive, but that adds a lot to the charm of the special, and for the time, it was groundbreaking. Some of the best sequences, visually, are song numbers involving dozens of elves, and simultaneously moving that many characters in one shot at 24 frames per second is a wondrous achievement. Rankin/Bass delivered more Christmas classics over the years than I care to count, but their first outing has always been my favorite. Nothing beats “Rudolph.” It has been broadcast annually every year since its initial airing in 1964, making it the longest running Christmas special in American TV history. To this day, it’s still one of the best. "The 25 Reviews of Christmas" is an expensive feature; if you would care to donate to help cover expenses, it would be greatly appreciated!